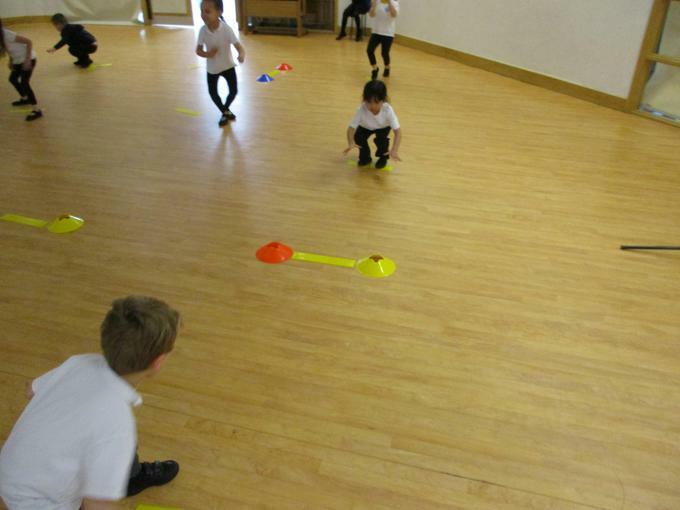 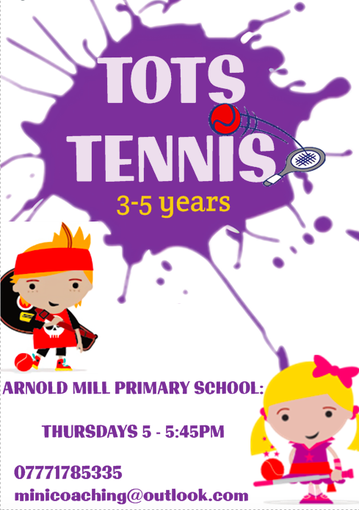 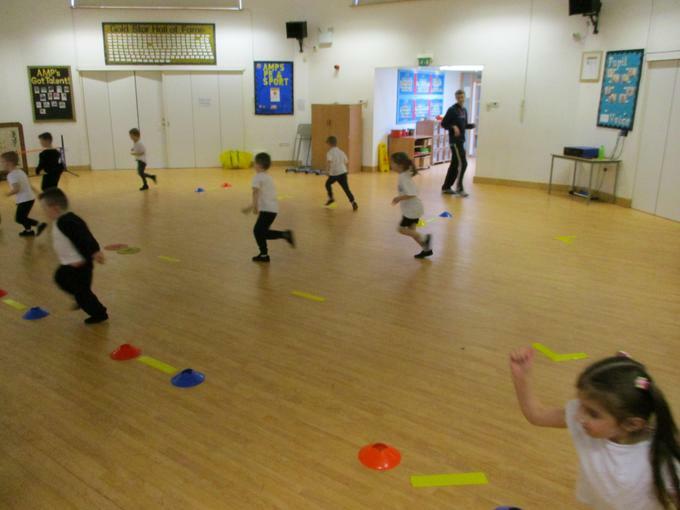 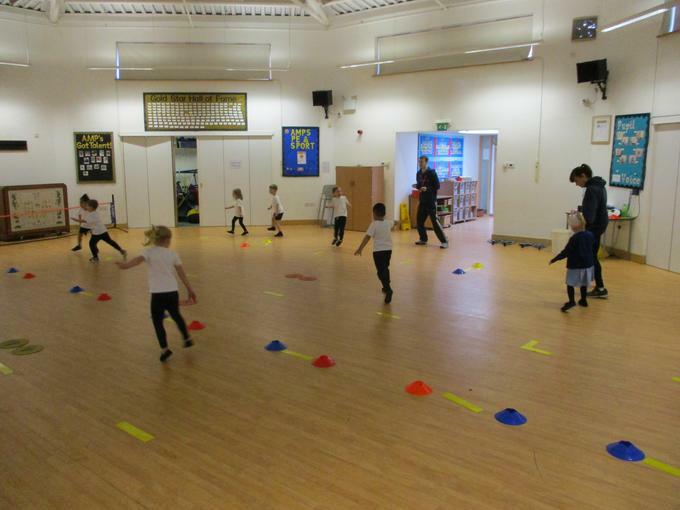 The F2 children were treated to a morning of tennis as TOTS tennis coach Luke Sloan came into Arnold Mill to deliver some taster sessions to F2, with the aim to create a fun filled session for the children as well as to develop the children's hand-eye coordination and skills involved in tennis. 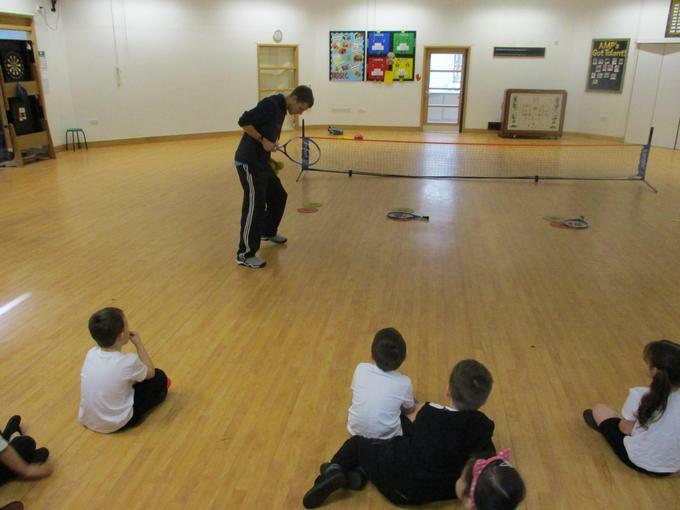 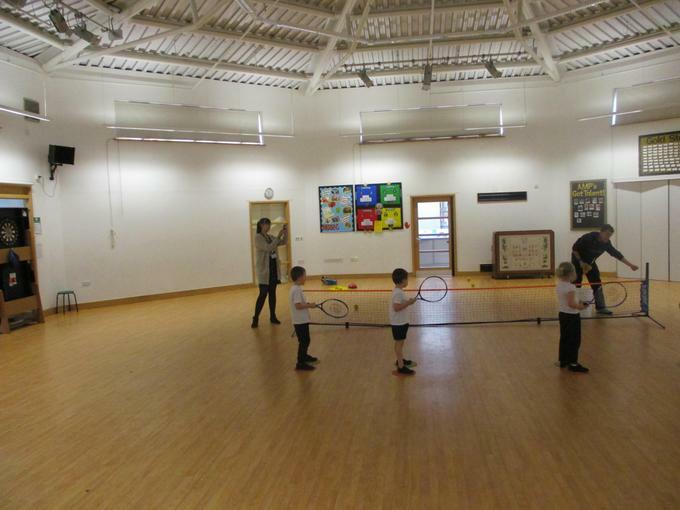 All the Children looked to enjoy themselves, with it being some of the children's first experience of tennis they were excited by the ideas of learning some new skills and having some fun! 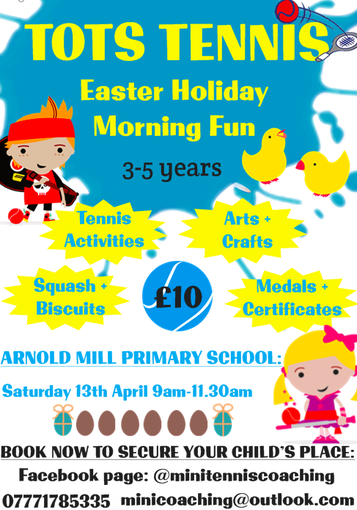 Luke Sloan delivers sessions to students after school at Arnold Mill, as well is running a Easter tennis camp over the holidays, if you think your child would be interested in getting involved and playing some tennis the details for both Easter camp and after school tennis sessions are listed below and hope to see lots of Arnold Mill pupils there!